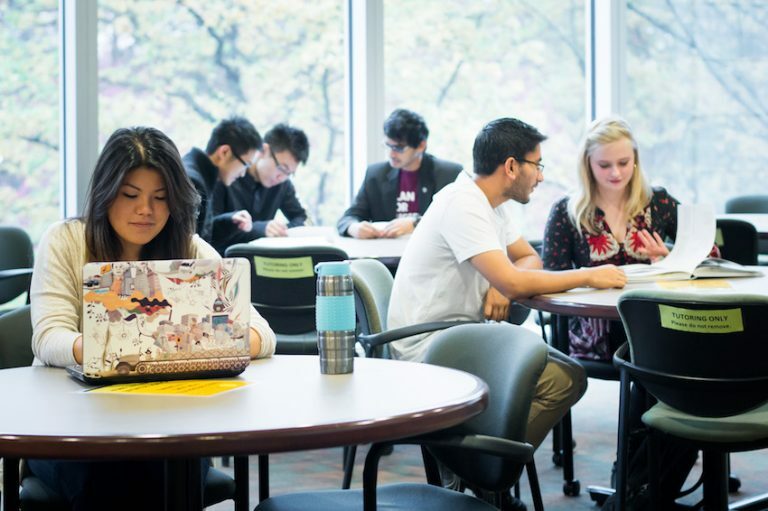 This Fall, The Centre for Writing and Scholarly Communication is seeing unprecedented student traffic. Opening a week earlier than in past years, the Centre has been almost fully booked every day since opening on September 18. Students are able to book appointments up to 10 days in advance. The most popular service offered at CWSC is the writing consultation, a 25-minute (50 minutes for Grad students) one-on-one appointment where students work with peer writing consultants to improve their writing, shape their writing process, and meet their goals. Shaw and her team also run a full schedule of events and workshops that enable students to learn and practice strategies for writing the Language Proficiency Index (LPI) Exam, develop better academic writing habits and learn how to keep their thesis-writing on track.